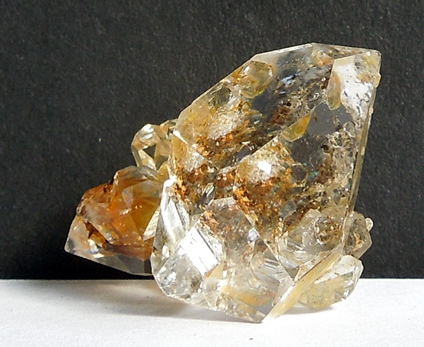 A metaphysical cluster of golden healer quartz crystals. 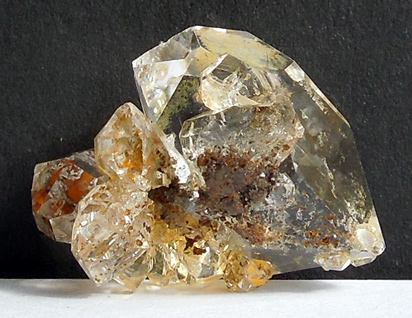 The mineral iron oxide gives quartz crystals their golden color and they are known in the metaphysical community as golden healers. The iron can be a thin or heavy external coating. As it's name suggests, it's used healing situations, both physical and spiritual. 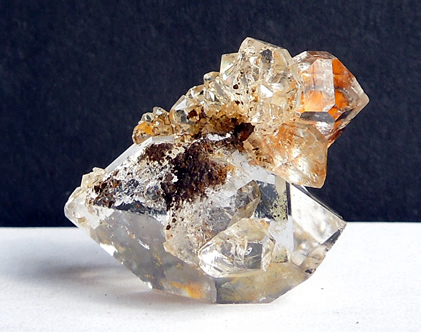 This cluster has at least 10 crystals in all, the largest measures 21x15x13 mm and is double terminated with good clarity. 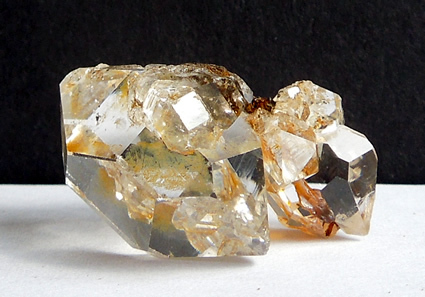 The smaller crystals, many of which are double terminated, are all less than 10 mm. The area where everything comes together is coated with iron oxide. The golden color in person is lighter than the images show. This area is also where the Herkimer grew close to the matrix rock, leaving some behind when it broke free (see images below). 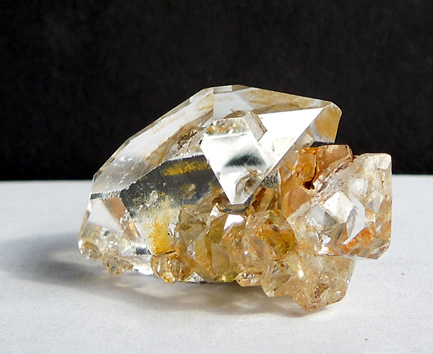 An impressive cluster of golden healer quartz crystals with a positive feel. 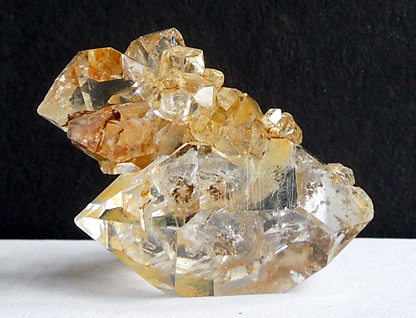 An alluring cluster of golden healer crystals.